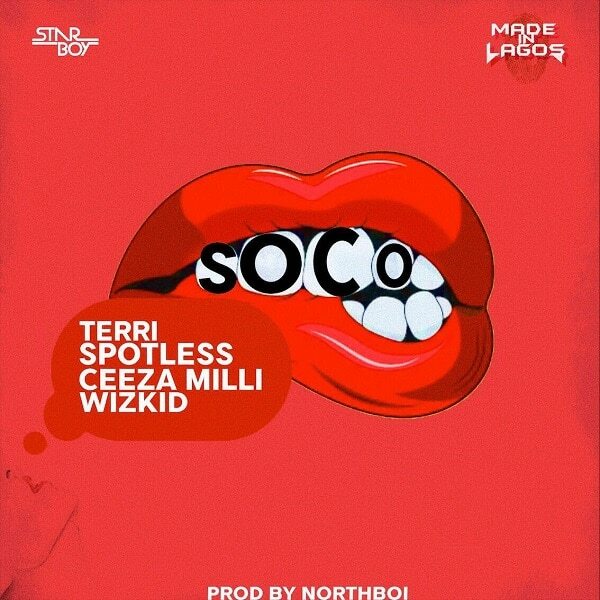 Star Boy presents a hot new Afro-pop single titled ‘Soco’ featuring label boss – Wizkid, Ceeza Milli, Spotless and Terri. Soco comes ahead of the release of their ‘Made in Lagos’ EP which will be out soon. Song is Fire I swear down. I love to know the meaning of soco and a red lip on the profile ……?